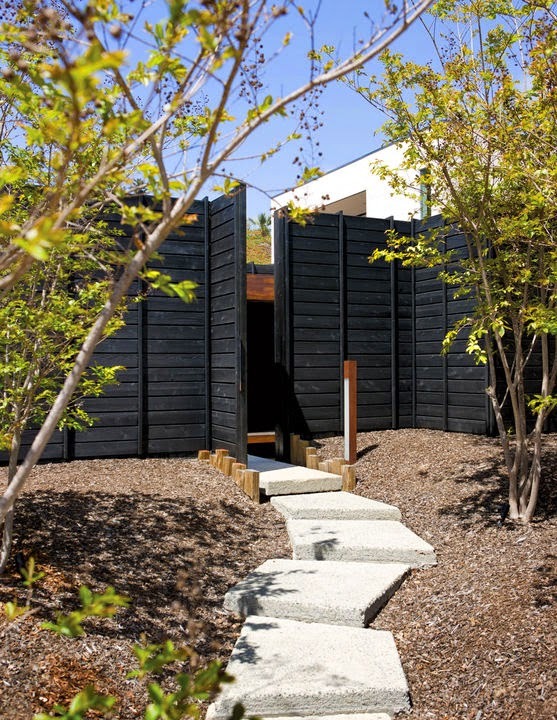 The Style Index : Wabi House: Japanese sense in a Western context. Is this your idea of domestic bliss? 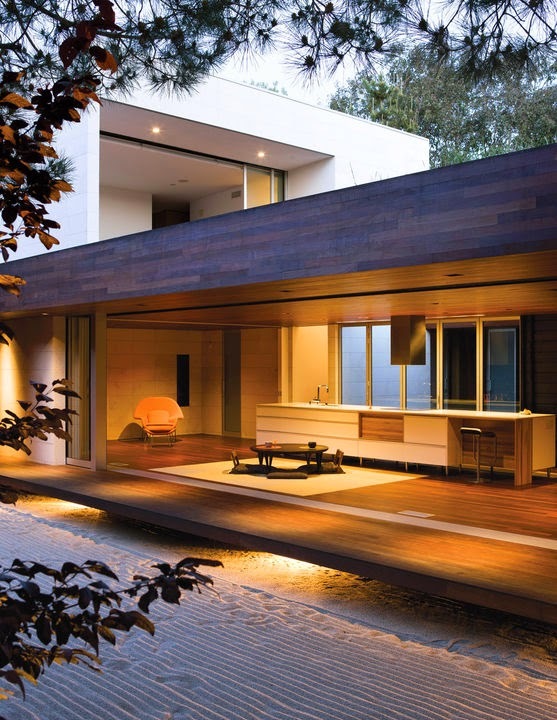 Wabi House in Southern Californian is an atypical modern home that combines the lan­guage of traditional Japanese building with American modern charm. It was designed by Sebastian Mariscal for Shino and Ken Mori. 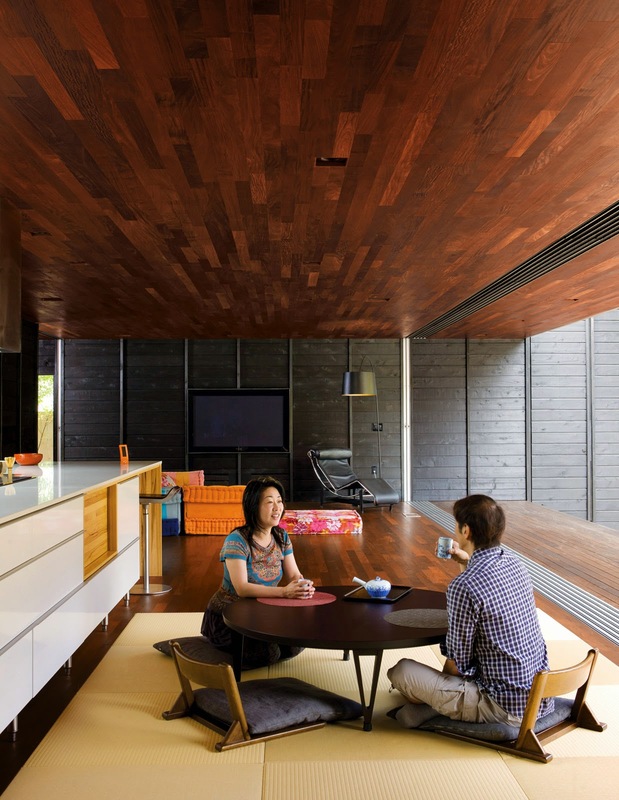 The pair gave their architect a fairly open brief but also gave clues about their living style by describing how they lived day to day in Tokyo when growing up. From these Mariscal developed his design. 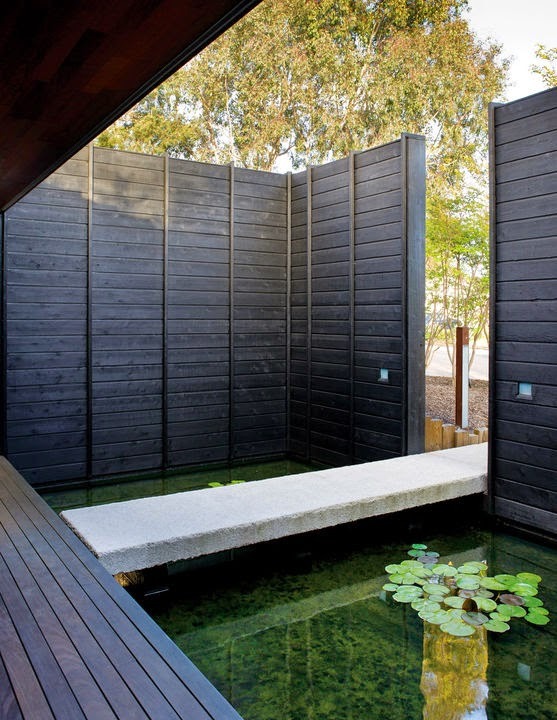 From the charred outside cedar cladding to its calm interior, Wabi House oozes serenity. The interior opens up to the garden and courtyards. 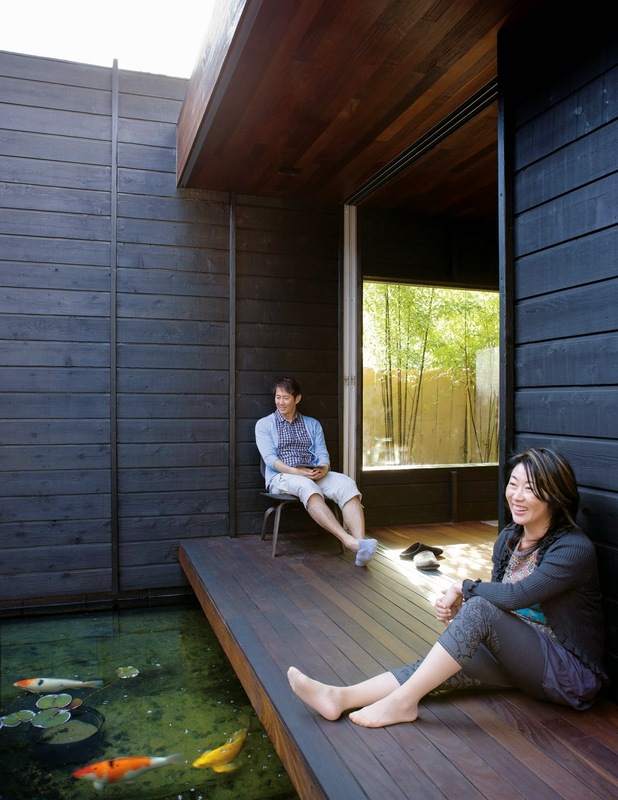 There is an area of tatami for sitting and viewing the garden and the walkway to the house bridges a pond of koi (carp). Modest, humble, and displaying an unconventional aesthetic, this house is what the Japanese might regard as wabi-sabi style. All photos by Daniel Hennessy Photography.